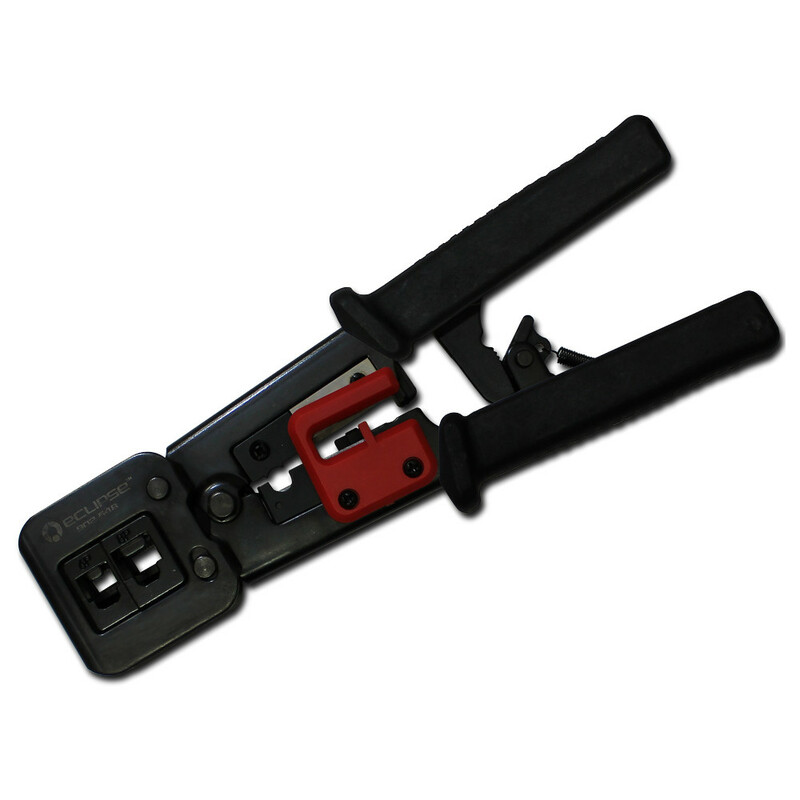 The QuikThruTM Crimp Tool and QuikThruTM RJ45 connectors make terminating your network cables a breeze. 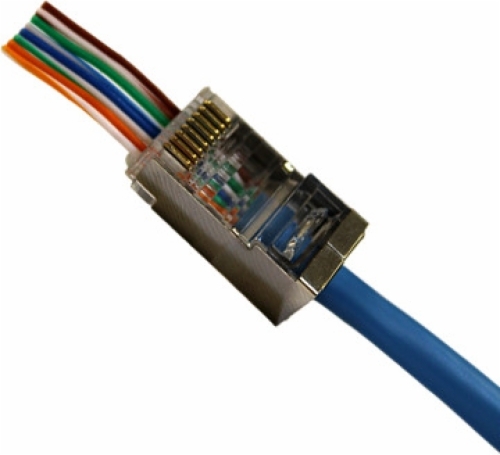 Simply feed your separated wire pairs through the connector and the guides will hold everything in place. 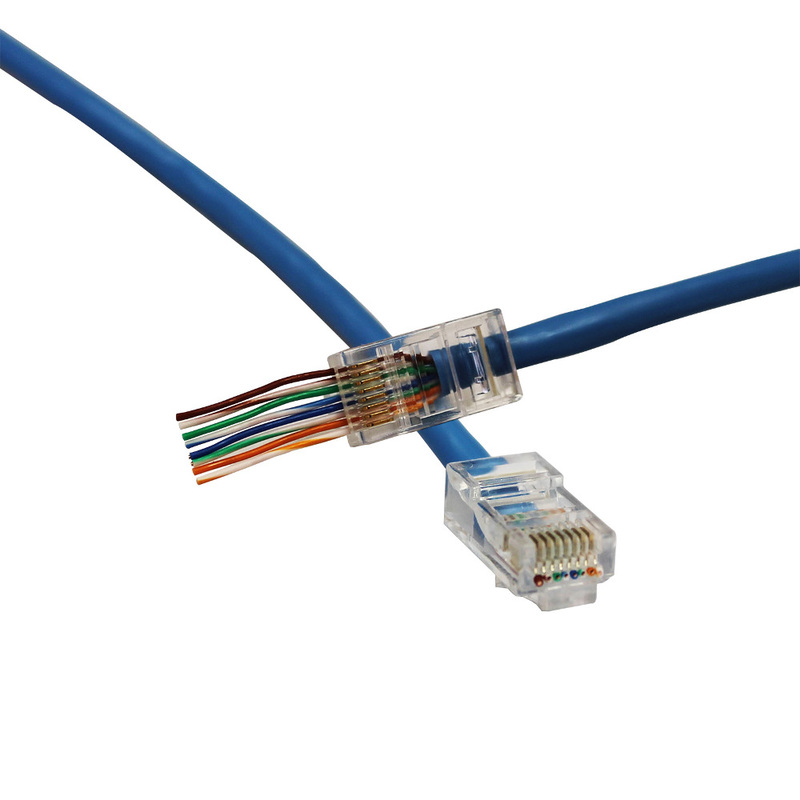 Then with a simple squeeze the tool will crimp on your CAT5 or CAT6 connector and trim off all excess wire. Built-in cutter and stripper for flat and round cable. Crimp and trim in one cycle!